Expand search to view more listings in and around Tamarac. See more offices in and around Tamarac. At Offices.net we have 1 office building located in ideal Tamarac business areas, offering office suites in a range of sizes and configurations. With short term and flexible rental agreements, your company will have all the benefits of an enviable business address in Tamarac, Florida including a wide range of services and facilities, without the long-term commitments of a conventional office space lease. Our offices provide an ideal solution to working in Tamarac, and in many cases also offer the option of increasing or reducing the amount of space rented at short notice. This type of flexibility can be ideal for start-ups and companies that have the potential to grow fast, as well as for those that are downsizing. All you need to do is choose any of the well located Tamarac offices for rent listed on this page. 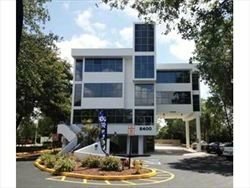 The professional office suites, shared work space and virtual offices on Offices.net are located in prime Tamarac business areas, and are available to rent on competitive, flexible rental terms to suit your exact business requirements. Haven't got time to search? Just get in touch using the number or form above and we'll be more than happy to recommend some locations in and around Tamarac. All we need to know are the very basic essentials; the number of desks you need, your business ideal locations and your ball-park budget.